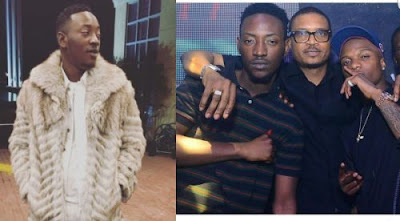 The 'Amin' crooner,Dammy Krane,was said in 2016 to have gotten into a fight with the StarBoy boss,Wizkid, at Quilox. Meanwhile, the celebrity, Dammy Krane, has disclosed that he no longer have an issue with Wizkid, stating that he has forgiven him already. We could recall that it was alleged that the fight ensued after Dammy Krane claimed that Wizkid stole the song, Baba Nla, from him after paying him a visit at home. Dammy Krane also revealed that he has no beef with Orezi,stating that he has forgiven him too over 'copied hairstyle'. Orezi apologized he said. If you know Dammy Krane very well, you would know that I joke with a lot of things but people tend to take them seriously. I do not think we had any problems; only miscommunication. Orezi has already apologized to me because he understood that it was miscommunication. Everything that happened during that period was miscommunication. He said he has maintained a good relationship with Tuface since he left his record label,stating that Tuface is a mentor to him in the entertainment industry.